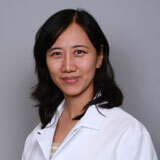 Chen He, DMD, has been a practicing dentist since 1999. She specializes in the diagnosis and treatment of problems associated with the tooth pulp, which is the soft tissue located inside the root canal. She provides endodontic services including surgical and non-surgical root canal procedures, crown lengthening, perforation repair, endodontic surgery, and bone grafting to patients starting at age 10. Dr.
Dr. He earned her dental degree at Boston University Goldman School of Dental Medicine. She also completed a residency at State University of New York at Buffalo. Her undergraduate degree is from Capital University of Medicine in Beijing. Dr. He is a member of the American Association of Endodontists and is fluent in English and Chinese. Dr. Dale Salomon specializes in correcting problems with the teeth, gums, jaw and face, including problems caused by impacted wisdom teeth, facial trauma, and oral cancer. He provides services including extractions, bone grafting, and pre-prosthetic surgery to patients as young as 12. Dr. Salomon has been helping people smile more since 1995. He earned his dental degree at the University of Pennsylvania School of Dental Medicine in Philadelphia. He also completed a residency at the Montefiore Medical Center in Bronx, New York. His undergraduate degree is from University of Michigan in Ann Arbor. 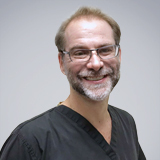 Dr. Salomon is a member of the American College of Oral and Maxillofacial Surgeons and the American Dental Association. He is fluent in English and Spanish, and speaks some French and Russian. 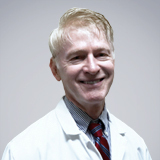 John G. Algood, DDS, Dr. Algood treats patients age 6 and older. He provides preventive, restorative, and cosmetic dental care including fillings, extractions, bone grafting, soft tissue grafting, crowns, bridges, dental implants and restorations, root canal therapy, sinus lift, veneers, and teeth whitening. Plus, his office strives to accomodate same-day emergency dental appointments. Dr. Algood has been a practicing dentist since 1978. He earned his Doctor of Dental Surgery degree at the University of Illinois at Chicago College of Dentistry. His undergraduate degree is from Indiana University in Bloomingdale. Dr. Algood is a member of the American Dental Association and Florida Dental Association.